Lease, Rent or Purchase. The decision is yours. 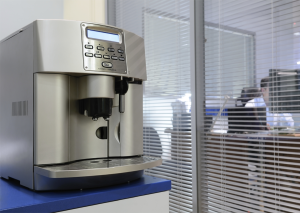 Drawing upon our large network of equipment manufacturers, we offer a carefully chosen selection of high quality commercial espresso equipment. Our product line includes the best in traditional, automatic and super automatic machines. We offer complimentary coffee bar consultation, beverage menu development, barista training, coffee roaster referrals, and much more. All of our equipment includes a full warranty on both parts and labor and is backed by our factory trained technicians. Our clients receive free delivery and installation, professional staff training and a start up kit including all espresso accessories. We provide everything necessary to optimize your espresso program, along with the expertise to ensure your program is a success. To learn more about choosing the right espresso program for your location contact us today. We are here to help. Eileen has gone above & beyond my expectations. She pulled all the stops to get what I wanted & needed. Khalil D.
Eileen was fantastic! Thank you for working with a small business such as ourself! Jason B.
I could not be happier or more satisfied with my experience. Eileen, Justin and every person associated with Nashville Espresso have been exemplary in every way. Dan M.
Nashville Espresso was extremely informative and made the learning process an ease. Without them I would have never purchased a machine. Spenser.